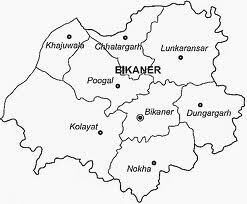 Information about Bikaner बीकानेर के बारे मे जानकारी. Tehsil of Bikaner – 8 and Panchayat Samiti – 7 hand it is Meata Bikaner division. Established in 1488 April 3 Bikaner Maharaja of Jodhpur was founded by Rao Jodha Bikaji son. And the ancient principality Jangl state or Rati valley was known. 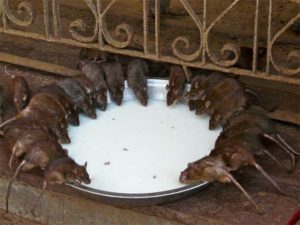 Sothy in Bikaner, Pungl, etc. Ancient civilizations have Dadathora. Radcliffe Line (Pakistan) with the range of Bikaner (168 km.) In Rajasthan seems to be low. The minimum international bordering divisions. Bikaner Radcliffe Line (Pakistan) is the district headquarters of the largest Fall. The international border near Bikaner divisional headquarters. The youngest division of the international border in Bikaner area. Jangl state – Bikaner and Jodhpur in the northern area. Most are found in unclassified forests Bikaner. Note: Rajasthan were 5 Cidiyagr which was a Bikaner is currently closed. There is no river in Bikaner district. 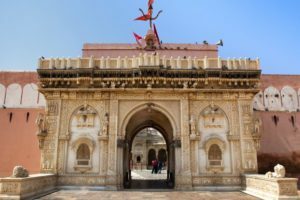 Thli (Bikaner) – Marwari is famous Doric. Lunkrnsr lake – famous saltwater lake. Gajner Sanctuary – The Sanctuary Btbt (Imperial Sendgauj, sand partridge) is famous for birds and wild pig. Mr. Kolayat – Vision’s founder Maharishi is Kolayat Tpobhumi of Kapil. Kartik Purnima fair is held here each year. Stage – in Nokha Tposthli of Bishnoi community Jambhoji founder. Here twice a year at the fair. 33 crore temple deity – it is located and the Ganesh statue of Ganesha Singh Hermb aboard. Devikund Sea – here lies the canopies of Bikaner royal family. Wool Complex (Industrial Park) – Bikaner and is located in Beawar. State Vuln Mills Ltd (wool factory) – is located in Bikaner. Desert triangle (Jaisalmer, Bikaner, Jodhpur) of a district. Central Horse Breeding Centre – Johdbeedh is located in Bikaner. Central camel breeding center – Johdbeedh Bikaner (1984) is located in. Ut Bikaner Festival is celebrated in January. Bikaneri camel – this breed is famous camel are found in India, 50 percent. Pungl breed of sheep, which is famous of Bikaner. Golden Paotri (handicraft) – Bikaner is famous. Plaid – Napasar Bikaner is famous. 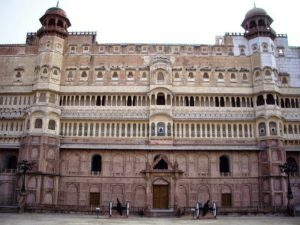 Bikaner is famous for Persian carpets and Vienna. 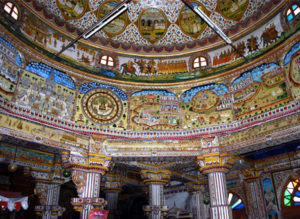 Bikaner Mtharn art – based on old tales of gods create murals. Rajasthani language, culture and literature department headquarters – located in Bikaner ..
Visrasr – the country’s largest producer of gypsum company.